By the 1970s, London’s smogs were becoming a distant memory. The last great smog had occurred in 1962 and it looked as if the UK’s urban air pollution problems had been solved. The world-leading Medical Research Council Air Pollution Unit at London’s St. Bartholomew’s Hospital was shut down. In the eyes of government, it had done its job. There was simply no further need for it. At the same time as the UK was closing research capacity, in the United States, Doug Dockery and colleagues were setting up a new type of study to look at the health impacts of air pollution. 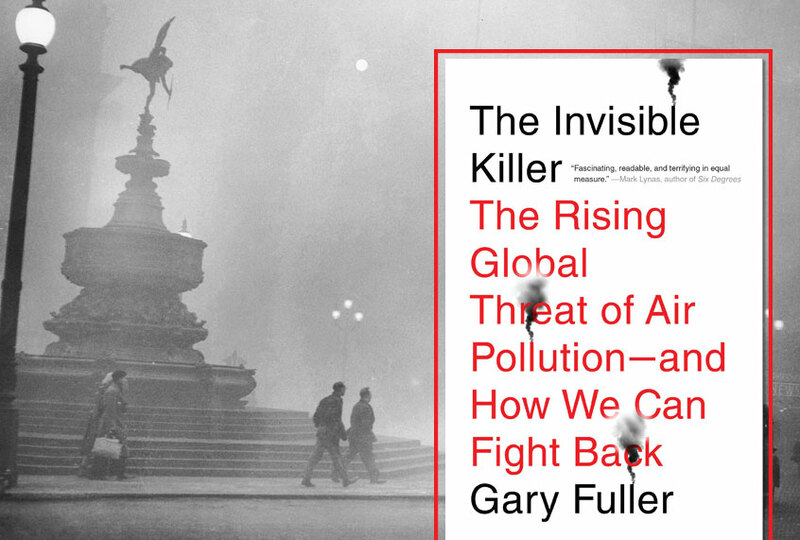 When it was completed and published nearly twenty years later, Dockery’s revolutionary findings changed our perspective of air pollution even more profoundly than London’s 1952 smog. Dockery did not start out as a doctor or health professional. His first degree was in physics and then gradually, via meteorology and environmental science, he moved to studying how the environment around us affects our health. Dockery and his team worked at the Harvard School of Public Health in Boston. Founded in 1913 to train public health professionals, the school’s work has affected the lives of all of us around the globe. Starting with infectious diseases, their researchers invented the iron lung to keep polio victims alive, before pioneering a vaccine in the 1950s, which was recognized with a Nobel Prize. They also led the eradication of smallpox. On a par with these achievements, the school can also list the air pollution work of Dockery and his team that began with the Six Cities study. Starting in 1974, the Six Cities study involved 8,111 people who were selected at random from six chosen locations. These were Watertown in Massachusetts, parts of St. Louis, the steel town of Steubenville in Ohio, and the less polluted towns of Portage in Wisconsin, Harriman in Tennessee, and Topeka in Kansas. Participants filled in questionnaires on their weight, height, smoking habits, occupation and medical history. Each had their breathing tested. Then, every year, Dockery’s team sent a postcard to each person to find out if they were dead yet. If there was no reply, they sent an investigator to talk to family, friends and neighbors to find out what had happened. This went on for sixteen years. During this time 1,930 participants died. There was nothing extraordinary in this, but it was who had died, and importantly where they had lived, that mattered. The residents of Steubenville and St. Louis were dying faster than those in Topeka and Portage. Allowances were made for the number of smokers, body mass index and other factors that affect people’s health, but there were still differences between towns that could not be explained. When these differences were plotted against the particle pollution in each city, however, an extraordinary pattern emerged. Cast your mind back to the laboratory experiments that you did at school and the results that you plotted on graph paper. There would always be a few wobbly points that did not quite fit. You would expect a sixteen-year experiment to contain many variables and anomalies, but the team found a near straight-line relationship that has gone on to become one of the most famous plots in air pollution science. It is replotted below, using the original data from Dockery’s team. Due to the extra air pollution that they were breathing from the traffic and industry around them, people in Steubenville were dying nearly 30 percent faster than those in Portage. And people were not just dying from lung problems but, like those in London’s 1952 smog, from heart problems too. This was not strictly speaking the first study to show that everyday exposure to modern air pollution was harming our health, but other studies had been less clear in their findings. The publication of the Six Cities study in 1993 was followed swiftly by another that looked at death rates in a large group of US citizens who were being tracked to check the development of cancer. They too were dying early because of the particle pollution that they were breathing. Suddenly we realized that the health impact of modern air pollution was bigger than anyone had imagined. Even looking at the cleanest of the six cities, the air pollution effect was still clear. Our air had to be made cleaner; cleaner even than the air in Portage. New effort was needed, not just in traditionally polluted places like the steel town of Steubenville, but everywhere. New pollution laws would be required to protect people’s health and set standards for the air in our cities. It was clear that industry and vehicle manufacturers, to name just two sectors, were going to have to do much more to clean up the pollution that they caused. But, as Arie Jan Haagen-Smit had found over forty years before, the vested interests would fight tooth and nail. The publication of the Six Cities study in 1993 was met with controversy and debate. As with the climate change issues of the twenty-first century and the European acid rain problems of the 1970s, doubt was sown by those who did not like the results. How could Dockery be sure that it was the particle pollution that was causing people to die early? The people were breathing a whole range of air pollutants, not just one. (In fairness, other pollutants had been measured in the Six Cities study, but their links to the death rates were not nearly as clear.) Dockery’s team could not measure every possible pollutant, so how about pollutants that had not been measured? Could one of them have been the cause? The particles in each city came from very different sources and had different chemical compositions, so how could they all produce the same effect? Association is not the same as cause; just because people in the more polluted cities died sooner, it did not mean that air pollution was actually causing their deaths. * Could the difference in death rates be due to some other differences between the cities; maybe it was differences in weather or the number of people who smoked? Had the researchers simply made a mistake? How could tiny amounts of particles in the air cause people problems anyway? Was it really the mass of these particles in the air, or their number? Unless government could be completely sure, it should not unfairly damage company profits. Less prominent in these debates were the voices pointing out that something was killing people in the hundreds in these cities and action was needed right away. Delay would mean more people dying prematurely. One solution would be to carry out the Six Cities study all over again, to prove it a second time. But that would take at least sixteen years, plus time for analysis, during which time industry could carry on much as before. The US Congress got involved and it was decided that a separate and independent group of researchers would go through the data with a fine-tooth comb and repeat the original work. Ultimately, in 2000, the original findings were confirmed. The everyday particle pollution that we breathe was, and still is, shortening our lives. The Six Cities study precipitated another evolutionary step in air management. We went from the 1950s approach of managing sources to new air pollution laws that set standards for the air itself. Standards and limits were created in the United States and Europe, and guidelines were set by the World Health Organization. The impact of the Six Cities study did not stop there. Between 1990 and 1998, a further 1,394 of the original 8,111 people died. Remembering the controversy from the original study, the researchers returned to all of the survivors to interview them, weigh them and find out their current health and smoking habits. Once again, the same straight-line relationship between survival and particle pollution was found, but this time there was better news too. During the 1990s, action had begun to improve air pollution. Over the whole twenty-six-year study period, particle pollution had fallen, and the greatest improvements were seen in the most polluted cities. In Steubenville and St. Louis, particle pollution in 1998 was at less than two-thirds of the level measured twenty years before. At the other end of the scale, Portage and Topeka showed little or no improvement. Where the air pollution improved, the survival rate improved too. (Researchers found a similar result when they checked on the Six Cities survivors again in 2009.) Cleaning the air worked and at least some of the harmful health effects were reversible. February 7, 2019 Comments Off on David Malpass: Who is Trump’s pick for World Bank president? May 23, 2018 Comments Off on Metrics Are Everywhere in Media. Here’s How They Help.